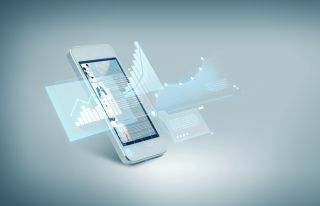 What is behind the rise in enterprise apps and why has the apps market suddenly been alerted to the analytic power and automation of processes that AI offers? Despite the hype, vendor noise and press column inches, artificial intelligence (AI) is yet to truly deliver on its undoubted potential. Relatively few organisations are using AI in any real or meaningful sense and for now at least, it is still mostly found within early adopters. But this will change over the coming months, as organisations begin to realise the potential for AI to transform elements of their business will ultimately outweigh any reservations that have been preventing their adoption to this point. There is one area of business however, that AI has already made a firm impression - as the technology powering the next generation of enterprise apps. Enterprise apps have been growing in use and popularity, with many tech firms even creating their own app marketplaces. Salesforce has recently launched a $50 million fund to invest in start-ups employing artificial intelligence, and some of these apps are already available in Salesforce AppExchange. What is behind the rise in enterprise apps and why has the apps market suddenly been alerted to the analytic power and automation of processes that AI offers? Mobile applications, commonly known as apps, have been a fixture in the consumer world for at least a decade now. People would use them to do things faster, better and smarter on their mobile handsets, whether that’s booking a train ticket, doing their online banking, updating social media accounts or playing a game to name just a few. Because apps were so useful and added so much value for consumers, and smartphones were becoming ubiquitous, enterprises started offering them too, creating apps for business functions such as HR, marketing, finance and more, as well as collaboration tool apps and a whole host of other areas. In 2016 Research and Markets launched a report “Mobile Enterprise Application Market - Global Forecast to 2021” that predicted the market would grow from $48.24 billion in 2016 to $98.03 billion by 2021. This is an opportunity for app designers to expand into a new market, for enterprises to equip and empower their workforce to do their jobs more effectively and for large enterprise tech companies to grow and protect their own eco-system. Launching a bespoke apps marketplace has become commonplace for big tech firms. Oracle has its Oracle Cloud Marketplace, there is the ServiceNow Store, the Zendesk marketplace and Microsoft has three app marketplaces, with AppSource the main offering targeted mostly to the enterprise. However, Salesforce’s AppExchange was the first enterprise apps marketplace and is still very highly regarded, with an active and engaged audience and enormous innovation to be found within the apps. Analyst firm IDC conducted a study of Salesforce customers that stated businesses who are driving innovation with Salesforce App Cloud are achieving 478% five-year ROI, releasing new apps in 59% less time, and increasing revenues an average of $55,000 per 100 users. With 3,000 partner apps and more than 4 million customer installs, AppExchange is the most comprehensive source of cloud, mobile, social, IoT and analytics technologies for businesses. But the past 12 months has seen a change in many of the apps listed on AppExchange, and indeed Salesforce’s overall focus, with AI now to the fore. 2018 – the year of AI? Einstein is a layer within the Salesforce platform that helps users to make best use of their data, delivering insight that allows them to truly focus on their customers. It does so by utilising the computing power of AI, a technology at the heart of everything Salesforce is trying to achieve. Like many observers, Salesforce believes that AI is set to be the dominant technology of the next decade and that understanding customers is best achieved by AI. It allows users to address a number challenges, such as: learning from the data coming into the organisation; improving sales engagement; being proactive in customer service problem solving; becoming more predictive in addressing issues before they become a real problem. Salesforce Ventures has announced a new $50 million fund to encourage startups to build AI-fuelled applications on top of Salesforce. This overall change of focus is reflected in the apps that are proving most popular within AppExchange. AI’s ability to automate certain tasks and augment any number of others, and bto ring enormous insight based on big data is behind this rise in AI-based apps. What’s more, when packaged in an app, this data insight is far more readily available to anyone across the business who might need it than it once was. Data is one of the most powerful tools in any enterprise, but its value is highly limited if it is only available to a select few. The true value of data only comes when each employee can benefit from the insight it delivers – the democratisation of data. AI-based apps are making data insight much more accessible to business users, and moving away from the idea that data scientists are required to really understand and extract insight from data. Few would argue that AI is still in its very early days of coming to maturity. Despite all the hype, no AI technology has yet passed the Turing Test, a test of a machine's ability to exhibit intelligent behaviour equivalent to, or indistinguishable from, that of a human. But the advances of faster computing multiplied by advances in algorithmic computing have been astonishing and the next great leap forward in adoption is surely imminent over the coming months and years. AI-driven solutions have not yet mastered causation, but if business leaders can apply such solutions to specific elements of their own business – the efficiency driven approach of deploying AI – then results will follow. Deploying AI-based apps that address a specific task or challenge, is perhaps the perfect way of achieving this. It allows a true focus on a particular element of business, it plays to the on-going trend and appetite for enterprise apps and can really unlock the deep insight found with an organisation’s data.